Possibly one of the most exceptional forms of safari and an undeniably unique way to experience the African wilderness, a horse riding safari is simply unforgettable. The contrasts in its landscape make Botswana feel like an other-worldy place and no matter how you choose to explore it, it will be difficult to forget. There is, however, a particularly special way to experience Botswana though. 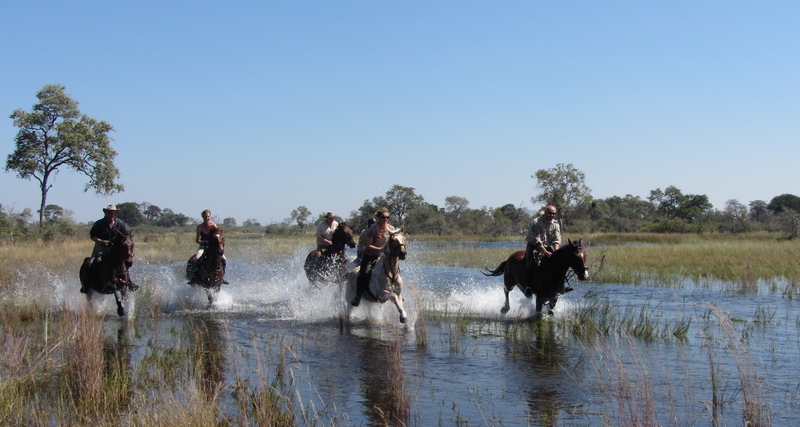 When on horseback galloping across the dry plains of the Kalahari or striding through the wetlands of the Okavango, you are given an extraordinary opportunity to connect with this magnificent place. There are few places in Africa – perhaps even the world – where you can ride alongside such an impressive concentration and variety of wildlife as in Botswana. On horseback, you can get up far closer to animals and birds in the wild than you would by game vehicle. Without that loud engine, animals are more likely to view you as a fellow grazer and so allow you to walk next to them with ease. Authentic horse riding safaris are led by highly knowledgeable guides that know the landscape intimately and bring incredible insight to your experience of the surrounding animal, bird and plant life. They will continually transform the scenery around you with their wealth of information and detail about the landscape. 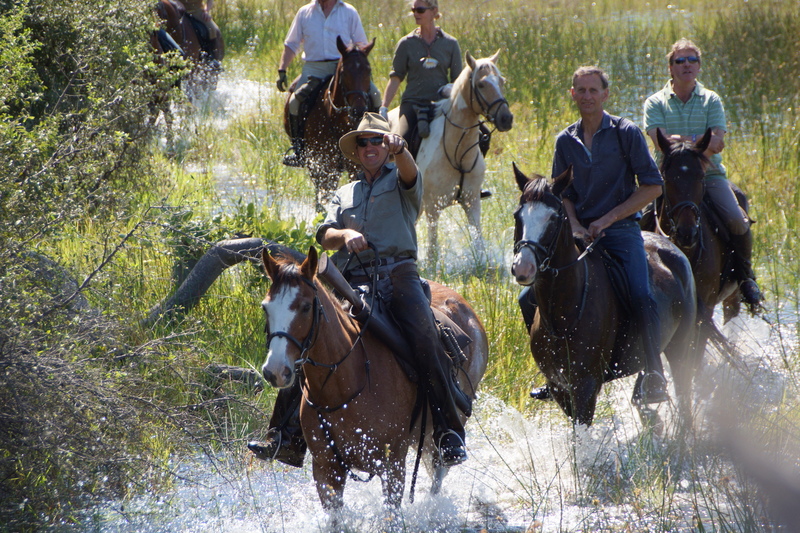 Horse riding is a far more active safari experience that requires your full involvement and attention, as compared to being driven around in a game vehicle or motorboat. With the reigns in your hands, the wind blowing through your hair and the sun streaming onto your face, you’ll feel an incredible sense of freedom. Getting off the beaten track is a real thing when on the back of a horse, as you’ll be able to get to places that are unreachable with four tyres. You might canter to the top of a small hill to find yourself staring out at valley bathed in the glorious shades of sunset. Or perhaps, journey deeper into the waters of the Okavango Delta to closely follow a cluster of lechwe as they bound away. Whether it’s your first or fifth safari to Botswana, every trip will be filled with different experiences, sightings and adventures. The same goes for a horse riding safari specifically, as you never know exactly which route you will take and what you will see along the way. Do bear in mind that horse safaris are limited to intermediate riders and above. 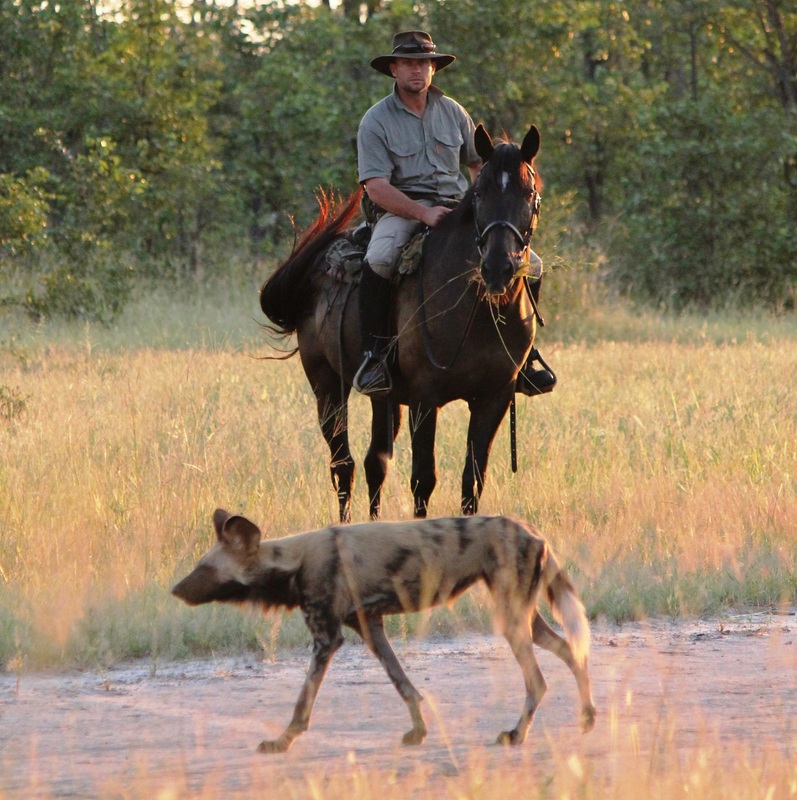 If this sparks your interest, let us help you plan and book your horse riding safari so that all you have to do is arrive at your destination, familiarise yourself with your four-legged companion, and then have a wonderful time!